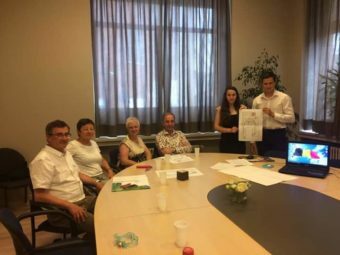 On April 20 – May 30, 2017 students of ecology Iryna Sabat and Volodymyr Bilynsky were trained under the Erasmus + International Program at University College VIVES (Belgium). The training program included familiarization with the system of the educational process at the university VIVES, their scientific and practical research. The main objective of the training was to get experience in designing modern park ecosystems and to develop proposals for an arboretum at the Jarosz Villa memorial complex. 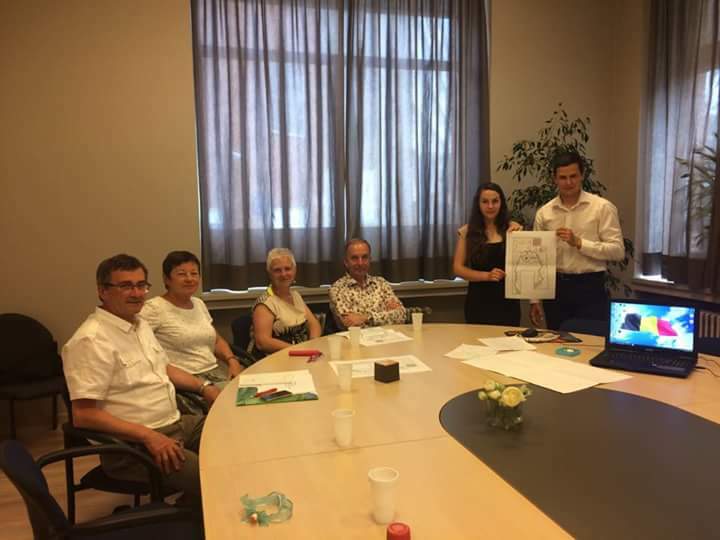 The creation of the arboretum is one of the areas of cooperation of Ivan Franko State Pedagogical University in Drohobych with the International Association VZV ORADEA. The ecology students led by renowned Belgian landscape architect Professor Geert Bossart developed a plan for the arboretum “Raimund Jarosz eco-park”. The cultural program included guided tours of Brussels, Bruges, Ostend as well as visiting museums, parks, environmental objects. Iryna Sabat and Volodymyr Bilynsky express their sincere gratitude to all Belgian colleagues for the warm welcome in the VIVES University College.